Ever wondered if there is a way to drive on our Indian roads without getting into an accident? The good news is it’s possible! Most people think that there are too many bad drivers out there, so even if you follow the rules others may involve you in an accident. The truth is that by following rules, learning advanced driving techniques and defensive driving techniques you can ensure a lifetime of safe driving. There are thousands of people who do this all over the country. By picking up tips from this driving handbook you can also learn to drive efficiently and safely like the pros. Good driving techniques can be learnt by anyone who has an open mind. Good driving is science, not chance. Driving is something you will be doing most of your lifetime. So, give yourself the gift of safe driving with this book. Naresh is a Mechanical Engineer and MBA from the USA with over thirty-two years of driving experience across the world. Naresh's passion for vehicles started at a very young age when he helped his dad tinker around with the family car on weekends. Later, he went on to win several motorcycle races organized by local motor sports clubs during his engineering days. His mechanical engineering degree coupled with his experience of running a garage in the nineties with his father helped him better understand the physics of driving. As a software consultant in the US he spent many years traveling on work driving rented cars. As a result, he has had the unique experience of having driven hundreds of different vehicles in various cities. He has also driven powerful cars like Ferrari, Mercedes, Jaguar, Audi as well as motorcycles such as the Suzuki Katana 600, BMW 800 and 1200 cc. 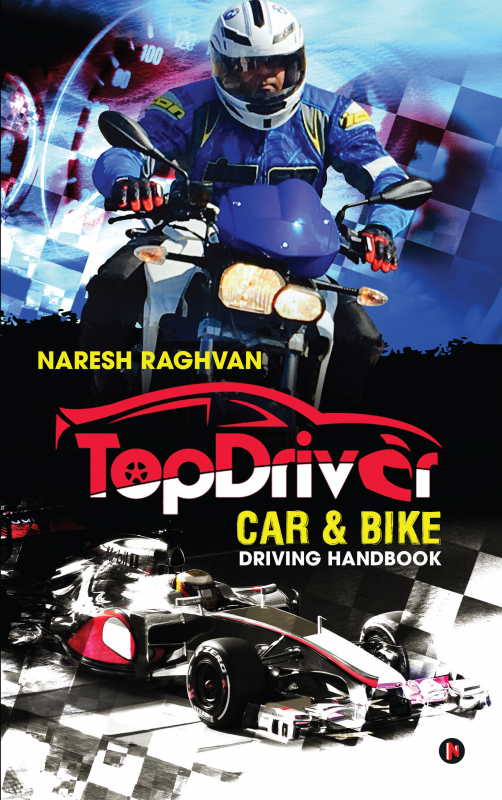 Naresh has also been trained by the National Highway Traffic Safety Administration (NHTSA, USA) in ‘Defensive car driving’ and by the Motorcycle Safety Foundation (MSF) in ‘Defensive Driving course in Motorcycle safety’. This book is a collection of research by leading transport departments of US and UK as well as observations from his driving experiences from across the globe.